Pinterest is the latest darling on the social media scene. Pinterest reportedly hit ten million monthly unique visitors faster than any other website. It is currently claimed to have some 15 million users. Basically it allows you assemble (‘pin’) images from anywhere on the web into themed folders (‘pinboards’). You can download browser plug-ins that allow you to pin an image from a website to one of your pinboards in a few clicks. The social element comes from ‘following’ other Pinterest users and commenting on and re-pinning their images. It is a simple idea slickly executed. The emphasis on images makes it rather different to Facebook, Twitter and other social media brands. 83% of US users of Pinterest are women and typical pinboard themes include: fashion, funny images of cats, interior design, places to visit, food and wedding ideas. Check the Pinterest home page to see a sample of images currently being pinned. The interest in weddings is particularly relevant to me as I sell wedding seating planner software. So I started to create some wedding reception themed pinboards as an experiment. I quickly decided that scouring the web for pictures of pretty seating charts, place cards and wedding cakes wasn’t a) a good use of my time b) the right thing for a 46 year old heterosexual man to be doing (GRRR!). So, using outsourcing site odesk.com, I found a nice lady in the Philippines to do it for me for a very reasonable hourly rate. She also (unsurprisingly) proved to have much better taste than me. I think she also really quite enjoyed herself! 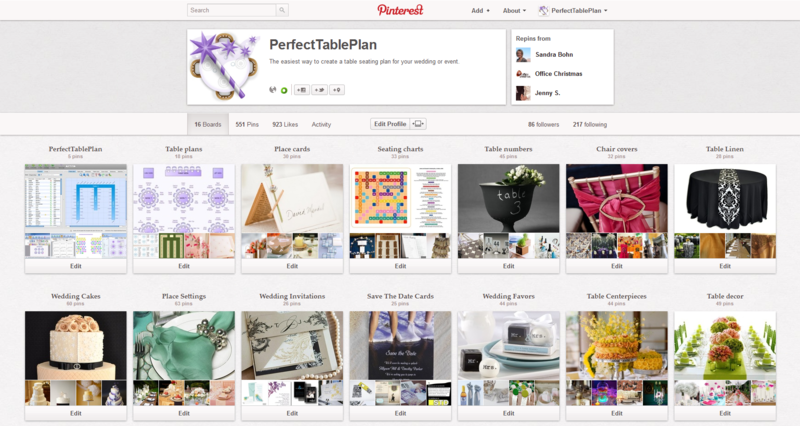 The resulting Pinterest pinboard is at http://pinterest.com/tableplan/. I may get some SEO benefit. But Pinterest isn’t looking a like a win for me. Also there are issues with Pinterest terms and general IP issues. Pinterest’s terms originally claimed that they could sell anything you pinned. They have since amended that to something more sensible. But pinning images you don’t own the copyright to is still problematic. I think most sites will be happy for people to pin their images, as long as they are correctly attributed – it is free advertising for them. And it is obvious that most Pinterest users are happily pinning images without any thought about copyright. But it could conceivably get you into trouble for copyright infringement. If you are a big name company with a big marketing budget, it may be worth putting some effort into Pinterest. Especially if you already have a big catalogue of images you own. But, based on my experiences, I think most small software companies can find better ways to spend their time. This entry was posted in marketing, microISV and tagged experiment, marketing, outsourcing, pinterest, software on 7 May 2012 by Andy Brice.